"Aidan is outstanding in every way. His advice is invariably precise and on point, and his advocacy skills are second to none." Aidan Robertson QC specialises in competition, EU and public law. He has appeared in numerous cases in the Competition Appeal Tribunal, High Court, Court of Appeal and Supreme Court in England and in the General Court and Court of Justice of the European Union, as well as appearing at oral hearings before competition and regulatory authorities. He has acted as counsel and as expert witness in arbitrations. He also has an extensive advisory practice. He has a broad client base, acting for both private clients and public authorities. His EU expertise extends to the fields of state aid, agriculture, regional develpment funding (ERDF), food, healthcare, public procurement, telecommunications, pharmaceuticals, direct and indirect taxation, free movement, financial services and international trade. He has acted for both applicants and respondents in judicial review proceedings in EU, competition and regulatory matters. 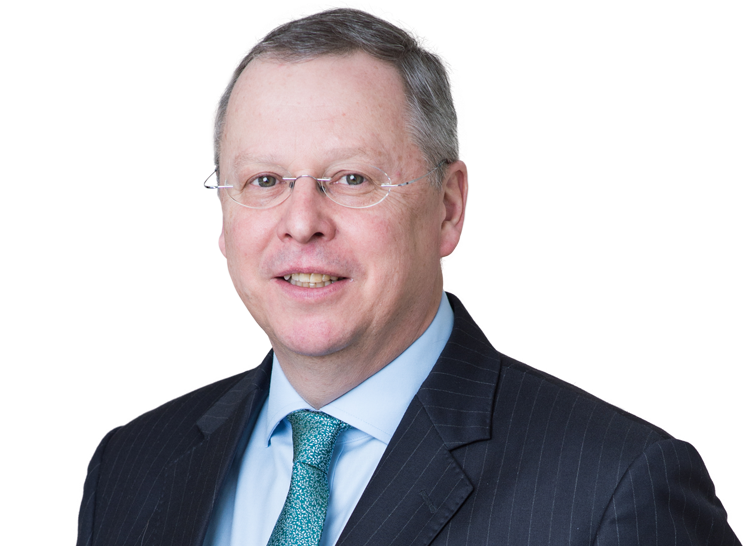 Aidan Robertson QC has been identified as a leading Silk in EU and competition law since taking Silk in 2009, and before that had been identified as one of the leading juniors in those fields for the previous 10 years by both the Legal 500 and Chambers and Partners. Aidan Robertson was called to the Bar of Ireland in 2018. He is a Visiting Professor at the University of Oxford, where he has taught competition law since 1990. Aidan was appointed to the Sport Resolutions' Panel of Arbitrators and Mediators in 2018. His practice includes all aspects of competition law, including antitrust, abuse of dominance, joint ventures and mergers, market investigations and criminal investigations. He has acted and continues to act in a number of follow-on damages claims in both the CAT and High Court for both claimants and defendants arising out of EU cartel decisions in Vitamins, LCD Panels, Copper Tubes, Copper Fittings, Refrigeration Compressors, CRT Glass, TV and Computer Monitor Tubes, Air Cargo Fuel Surcharges, Polyurethane Foam, Automotive Glass and Power Cables. He has appeared in many leading competition cases including iiyama (extraterritorial application of EU competition law), MasterCard (interchange fees), FA Premier League v QC Leisure and Murphy v Media Protection Services (broadcast rights to Premier League football matches), BSkyB, Merger Action Group and IBA Health (merger challenges). He acted for over 20 construction companies in the largest ever UK cartel investigation and in 8 subsequent successful appeals to the CAT and Court of Appeal including the Tomlinson, Francis, GMI and Interclass cases. His expertise extends to the fields of state aid, agriculture, regional development funding (ERDF), food, healthcare, public procurement, telecommunications, pharmaceuticals, direct and indirect taxation, free movement, financial services and international trade. He acted in successful follow-on Francovich claims for damages for farmers’ producer organisations against the UK and Scottish governments for breach of the Common Agricultural Policy, having acted in several successful appeals against withdrawal of agricultural subsidies, including SPL v DEFRA Nos 1 and 2 and Angus Growers v Scottish Ministers. He has acted for both applicants and respondents in judicial review proceedings involving challenges based upon both EU and English law. He has particular expertise in judicial review in EU, competition and regulatory matters. He is co-editor (with the late David Vaughan CBE QC) of the multi-volume encyclopaedia “Law of the European Union” (OUP). He has contributed to a large number of books and journals as well as lecturing extensively. He has taught the postgraduate competition law course at Oxford University since 1990, where he is a Visiting Professor, having formerly been a full-time university lecturer and fellow of Wadham College. British Digital Broadcasting Plc (European Commission, OJ 1997 C 291/11), for complainant subsidiary of NTL (complaint of breach of Articles 101 & 102). Extensive competition law advisory work on every aspect of the EU and UK competition rules, particularly in proceedings before the European Commission, Competition Commission and the Office of Fair Trading. Clients include public and private companies, trade associations, government departments, competition authorities and sectoral regulators. Advised on cases covering just about every aspect of EU law, for clients including public and private companies, government departments, sectoral regulators and even a political party during the 1997 General Election campaign. Aidan Robertson has acted for both applicants and respondents in judicial review proceedings involving challenges based upon both EU and English law. He has particular expertise in judicial review in EU, competition and regulatory matters. C-380/98 R v HM Treasury ex p University of Cambridge  ECR I-8035 (European Court of Justice) and final judgment in English High Court, 15th November 2001. Advising a major logistics operator on various questions arising out of its operation of procurement services for a central government department. Advising a leading protective clothing manufacturer on the validity of a challenge to a contract award under a mini competition. Advising a supplier of motor vehicle immobilisation, removal, storage and disposal services on the validity of a challenge to a contract award. Jointly advising a central government department and a logistics operator on various questions arising out of the operation of procurement services. Advising a government agency on the procurement of legal services. Advising a major trade association on various potential challenges to the procurement practices of a central government department. Advising a major utility on procurement implications of a restructuring of one of its core business activities. Aidan has considerable experience in the competition and regulatory aspects of telecommunications. He has acted for both fixed and mobile networks, as well as for regulatory authorities in the UK and overseas. He has successfully defended Competition Act 1998 investigations brought by the regulator, including oral hearings. He has been involved in a number of cases including potential appeals to the Competition Appeal Tribunal, and has advised widely on regulatory matters. Cases include: Vodafone v OFCOM (Mobile Number Portability)  CAT 22.